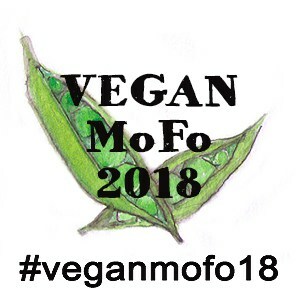 Veganuary is in full swing and, for the first time ever, I’m really noticing it all around me. 2019 has seen literally hundreds of new vegan releases, from ready meals to restaurant menus! 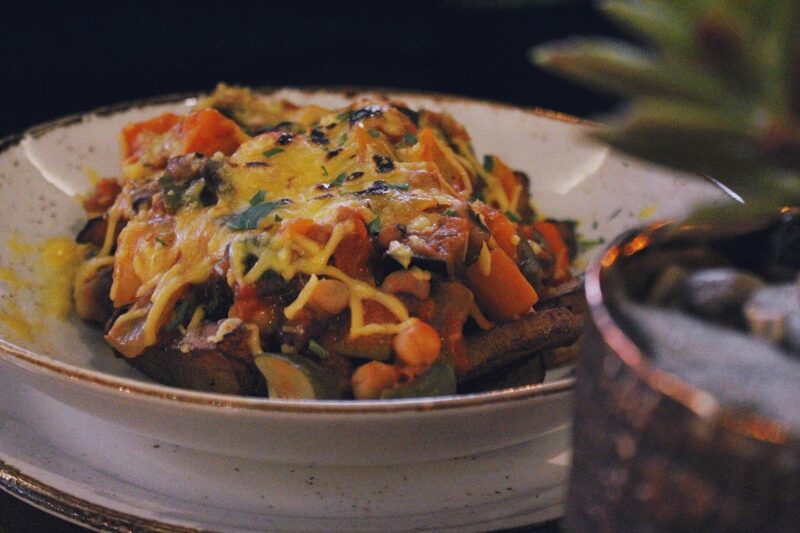 It’s particularly satisfying to see lots of vegan option appearing all across this city I call home – Liverpool has always been an place where everyone can feel welcome, and this attitude is filtering through to plant-based eating, too! 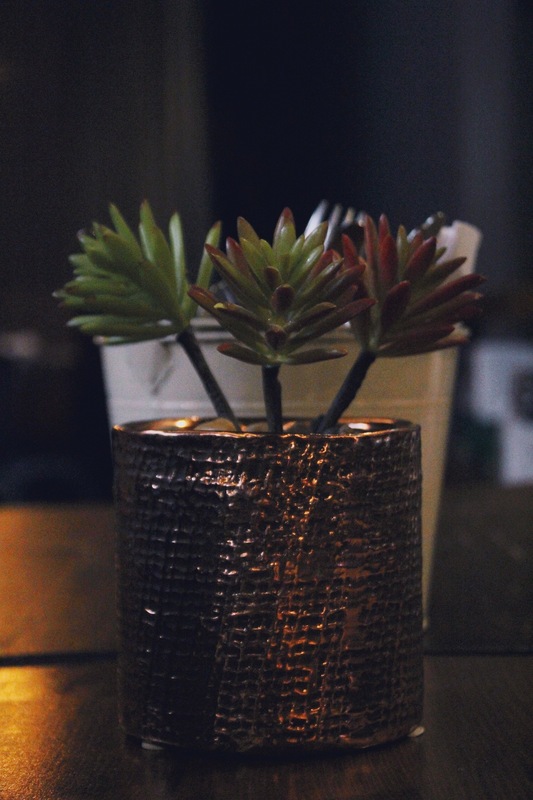 We got to sample the three-course menu, which is priced at £20 per person with three different options for every course. Obviously, I opted for the cauliflower wings, but we also sampled the tacos, chilli loaded fries, and the aubergine katsu green curry. 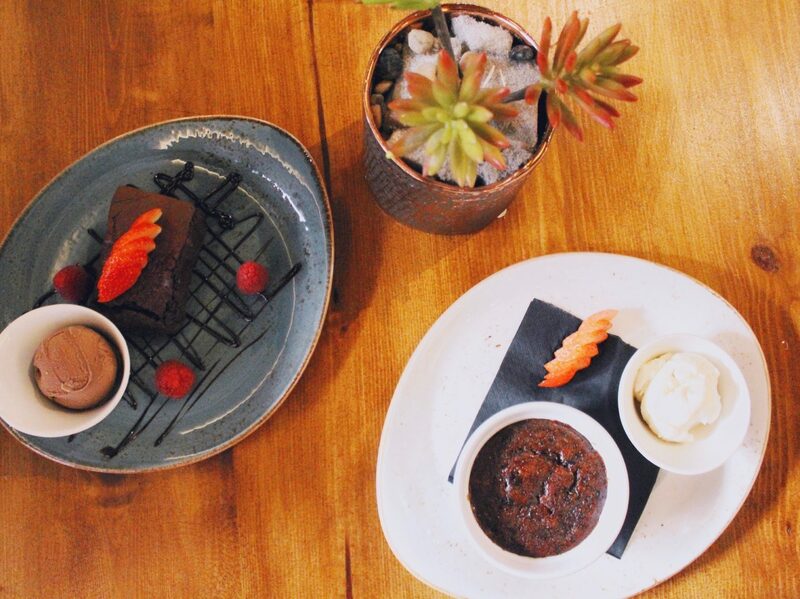 For pudding, we enjoyed a sticky toffee and pear pudding and a chocolate nut brownie. Every single course was delicious, and the brownie was quite possible one of the best I’ve ever tasted. One thing really stood out about the menu: everything was really vegetable-centred. This sounds like a strange thing to say, but hear me out: since veganism has increased in popularity so much over the last years and alternatives to meat and dairy are so much easier to come by, vegan cooking has changed a lot. Recipes are more often than not designed to ‘replace’ a non-vegan favourite, and while I have precisely zero problems with this, I sometimes do miss the style of vegan cooking of the past ten years. Instead of meat substitutes, this style was all about placing vegetables (and legumes) at the heart of a recipe, celebrating the wide range of plants we can eat and all the amazing flavours and colours they can bring to the kitchen. 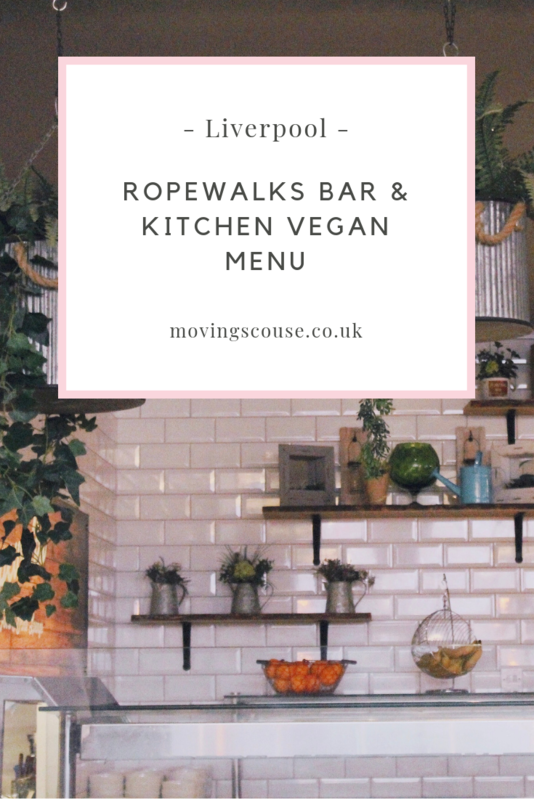 Instead of offering loads of faux-meat dishes, the Ropewalks Bar & Kitchen vegan menu offers a curated selection that really captures the essence of that vegetable-based style of cooking and takes us right back to the roots of vegan cooking – and I’m so glad this is the case! 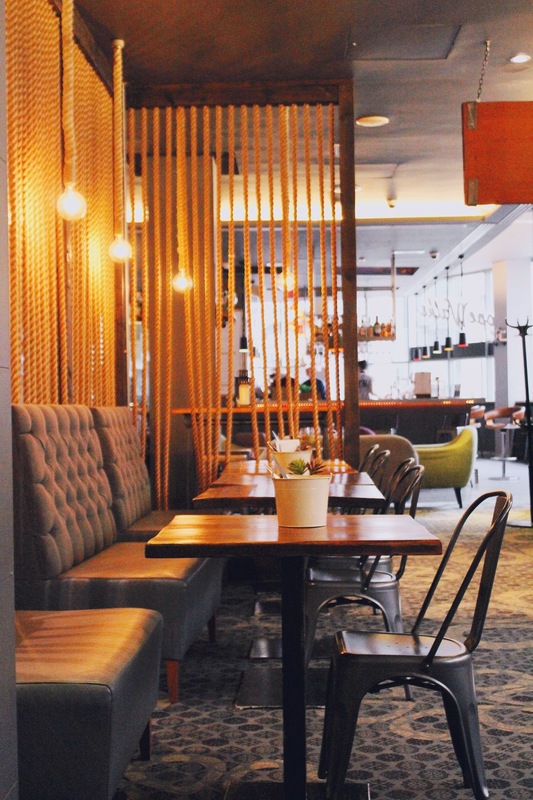 We really enjoyed our little lunch out, and I’m looking forward to seeing how the restaurant develops their vegan offering over the next year or so. 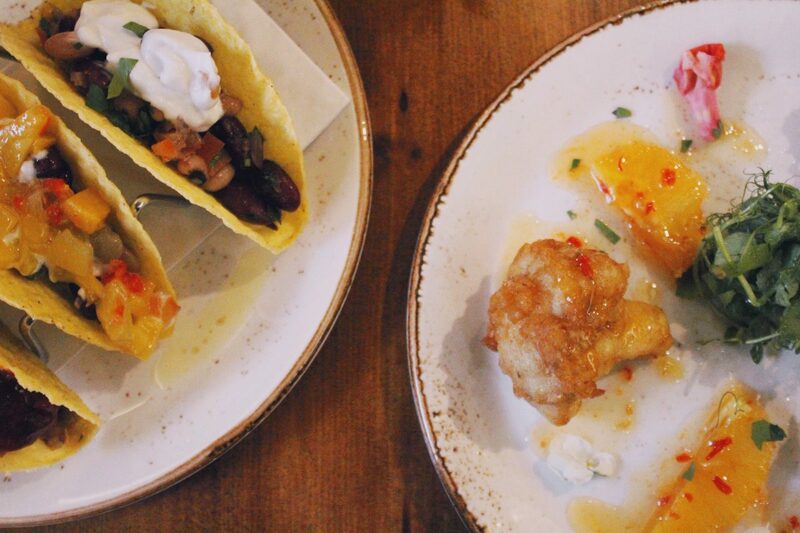 They’ve confirmed that the Veganuary menu was so successful that it’s becoming a permanent offer – and that can only be a success for Ropewalks Bar & Kitchen and for the vegan movement! Oohh their menu looks really good! I’ll have to try them out at some point. 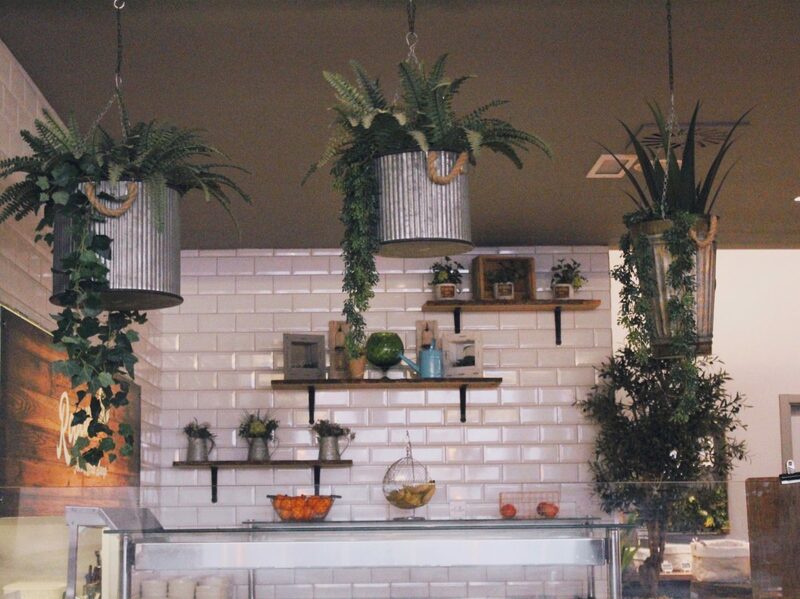 Monro have got a nice looking vegan menu now too.